The Sober Companion role is designed to provide a new way for a substance abuser to find his or her place place. 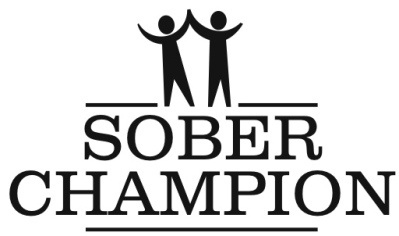 The Sober Companion works on helping the client to redefine his or her relationship with drugs & alcohol. It's a closely held secret, but there are times when a part of this process involves "harm reduction". Although it might seem counter-intuitive, there are times when a Sober Coach or Sober Companion is not always in the business of demanding complete, lifelong abstinence from all his clients. Increasingly, treatment professionals have come to understand that Harm Reduction (often called "damage control") makes more sense, in most cases, than dogmatic hounding. Harm Reduction is a phrase that strikes fear into the hearts of many people who actively pursue and promote complete abstinence. For them, it conjures up images of allowing a heroin addict to drink all he wants, or an alcoholic to smoke marijuana every hour, with the hope that the individual will not return to their substance of first preference. (By the way, we do not use the phrase "drug of choice". If the client really is an addict, he or she has no "choice"). The unfortunate truth is that, sometimes, unless a substance abuser truly gains the desire for abstinence, the best any treatment professional can offer is harm reduction. This concept is most effective when dealing with an individual who is not, by the strictest definition, an addict or an alcoholic. Damage control can very handily be applied with a client whose primary, underlying problem is not substance abuse: sometimes, these are people who have been diagnosed with mental disorders, or with physical ailments that have lead them to misuse prescribed pain medication. Of course, this is an uncomfortable topic, and one which causes much consternation in the field of addiction treatment. In our experience, force-feeding the 12 Steps to an alcohol or drug user who is neither willing nor able to digest the information can do more harm than good. Too often, suffering people are chased from the room of recovery because they won't buy the line. Alcoholism and addiction are diseases. Invariably, a person who suffers from them will get worse and not better. It is easy to pigeonhole a drug or alcohol user as "alcoholic" or "addict". Every good Sober Companion knows it is not always the case that every person who misuses or abuses drugs or alcohol is an addict. The assistance available from a Sober Coach or Sober Companion can help define the problem, and help determine the most effective course of treatment.